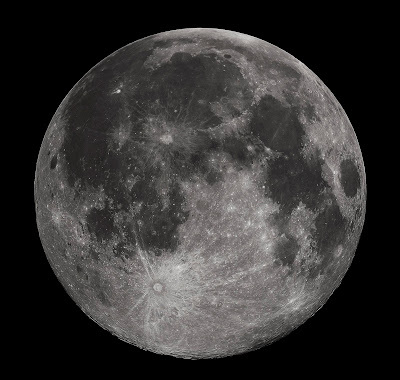 Through reanalyzing pieces of the Moon that were brought to Earth in 1972 from the Apollo 16 mission, the research team from University of California San Diego has revealed that the Moon does not contain water inside it. "It's been a big question whether the moon is wet or dry. It might seem like a trivial thing, but this is actually quite important," said geochemist James Day from the University of California San Diego . "If the moon is dry - like we've thought for about the last 45 years, since the Apollo missions - it would be consistent with the formation of the Moon in some sort of cataclysmic impact event that formed it." This statement is referring to the idea that the Moon is actually a piece of the Earth that got knocked off the planet when an asteroid hit it. The piece and the asteroid would have made a hot, boiling mass of magma which would have caused elements such as chlorine, zinc, potassium, and water to boil off and cease to remain. Upon studying samples of the Moon, researchers have found some pieces are 'dry' and others contain elements that should have been depleted. Another study released a few months ago in Nature Geoscience said that the Moon has a lot more water than previously thought. The study focused on deposits of water inside beads of volcanic origin that were over the Moon's surface. The problem is that the origin of the water in the volcanic beads is unknown. The new study also looked at some volcanic beads, and the researchers believe that if the water got there through condensation it would still be consistent with the idea that the Moon is dry on the inside.